The Beavers finish the conference season 6-5 to match the University of Sioux Falls for sixth place, while the team is 8-6 overall with a pair of non-conference matches left on the schedule. Saturday, the Warriors took an early lead, taking two-of-three doubles matches to earn the doubles point and a 1-0 lead in the match. 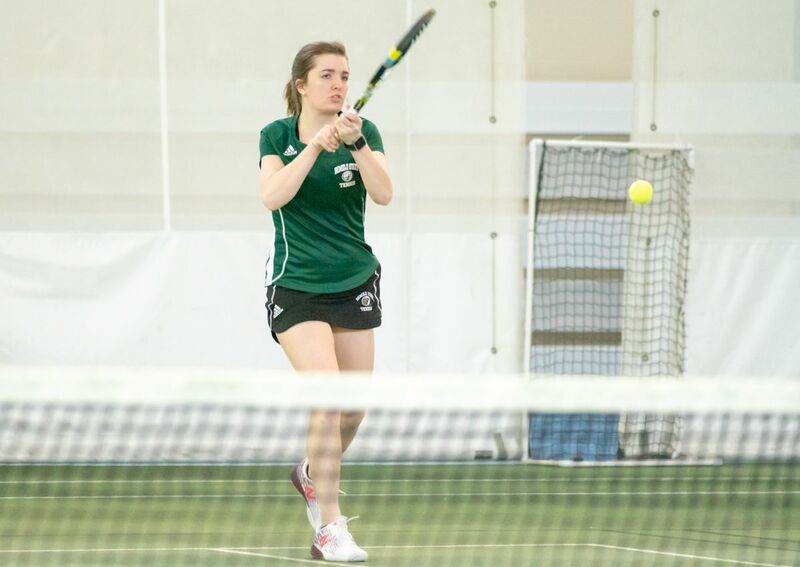 Bemidji State’s doubles victory came out of the No. 3 doubles spot where Ariadna Lopez-Simo and Laney Rutkowski combined for a 7-5 win. WSU rattled off wins in the top five singles posts, three in straight sets, before Hannah Peterson garnered a straight-sets (6-3, 6-4) win at No. 6 singles for BSU. The Beavers eight win of the season came Sunday as the Beavers pulled together big wins in the bottom of the line up. The Peacocks took the top doubles match of the day and forfeited the No. 3 doubles match due to an incomplete line up, leaving Lopez-Simo and Rutkowski to decide the doubles point. The newly-formed duo compiled its second win of the weekend, 6-0, as the Beavers’ No. 2 doubles pair. UIU evened the match with a win at No. 1 singles before Lopez-Simo collected a 7-6 (8-6), 6-3 win at No. 2 singles and Brooke Mimmack posted a 6-3, 6-1 win in the No. 3 spot to official title the match in BSU’s favor. Peterson also collected a victory at No. 5 singles (6-0. 6-0) and UIU forfeited the No. 6 singles match. The Beavers return to action April 6 when they travel to Fargo, N.D. for a non-conference match up with Concordia College. The match is set up for a 2 p.m. first serve.